Imagine if your child had Special Needs. How much more stress would you feel? How much more pressure could you cope with to provide for and to protect your child? And if you are a single parent, is it even possible to succeed? Can you define any of the categories of special needs so you know how to proceed forward? In today’s chaotic world the stress of raising your child is unbelievable. The need to supply a warm and loving environment while working long hours to maintain the cost of living. The pressure to provide your child, this wonderful person totally dependent on you, with as many opportunities to learn and grow into the special individual you want them to become. There are so many things that can threaten your child’s welfare. Everything from physical harm to moral jeopardy is endangering the innocence of our children. There are predators on-line and bullies at school. Even at home there is improper content on television shows. Keeping your family safe and untouched is a constant battle. Every day is an even tougher struggle for Special Needs children and their families. 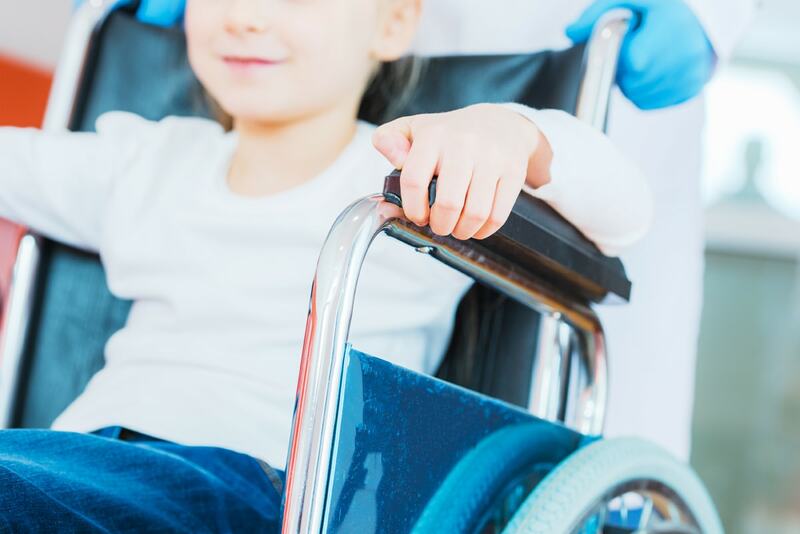 There are so many different illnesses and conditions covered under the term “Special Needs” that determining your child’s particular diagnosis is itself an overwhelming obstacle. Behavioral: One of the primary categories of special needs, this includes conditions as ADHD (Attention Deficit Hyperactive Disorder), and Tourette’s syndrome which is a neurological disorder causing repetitive, involuntary movements and vocalizations. There are also children who have ODD (Oppositional Defiant Disorder) which causes the child to become excessively non‑compliant and aggressive. Children diagnosed with ODD are unresponsive to traditional discipline. Parent’s can attend formal parent training programs to learn successful strategies to manage and motivate their child. Developmental: Autism which affects a child’s social interaction, language skills and behavior. While a diagnosis of Down syndrome is devastating to parents, our understanding has grown substantially and there are several resources available for assistance and information. Individuals with these conditions can lead full and happy lives, attend school, and eventually marry and have families of their own. Learning: Dyslexia can cause self-esteem and behavioral problems and requires special learning techniques. It’s important for parents and teachers to work together with the child to achieve a successful outcome. Children with Central Auditory Processing Disorder have trouble paying attention, remembering verbal instructions and following multi-step directions when given orally. They perform tasks much better in quiet environments and with written or visual instruction. Medical: Medical ailments can include diabetes, cancer, heart defects, asthma, epilepsy or seizure disorders, vision or hearing impaired children, and various food allergies. Each has its own risks and limitations and all proper care must be provided with the assistance of appropriate doctor care. If you or someone you know is in need of assistance with child care and understanding the various categories of special needs there is help available. A-1 Home Care Agency can provide experienced and loving Nannies and Mother’s Helpers who understand and are trained to assist you in caring for your Special Needs Child. All Babysitters, Nannies, or Mother’s Helpers are Experienced, Qualified, and have undergone a Criminal Background Check and DMV Driving Record. They also must provide verifiable References, Work History, Tuberculosis Test and CPR Training. We are Licensed, Bonded and Insured and can provide assistance Part Time, Full Time, Short or Long Term Placements for Live-In or Live-Out positions in Pasadena, Orange County, and Los Angeles. We guarantee professional service at the most affordable prices. Call (562) 929-8400 to receive information on how we can help with your Special Needs Child.